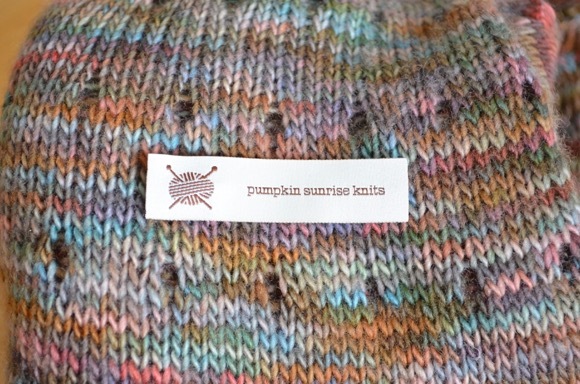 I'm excited to share with you labels and tags for your 'oh so special' knits that you give to people. If you are like me, I usually write out the care instructions on a tag and attach it to the gift. Most of the time I'm writing over and over again 'hand wash cold water, lay flat to dry'. I remember wishing I had a label for that. Well, my wish came true when the Dutch Label Shop asked me to review their various labels and tags. I created a custom care label on their website easily and now I can stitch one to the inside of all those 100% wool projects. 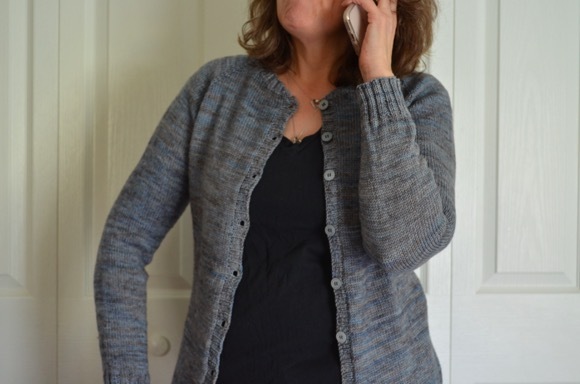 I feel liberated and having a care label gives a finished project a polished look. 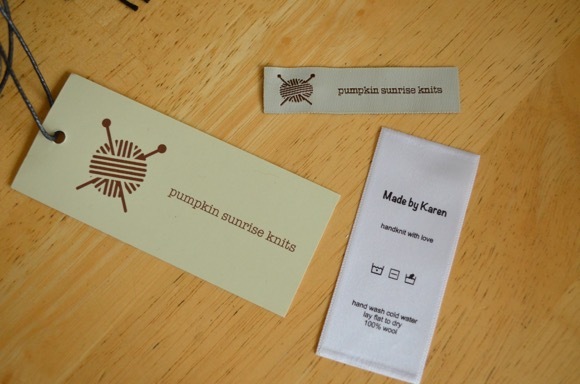 I also ordered woven labels and hang tags with my blog's name on them. Their website is simple to use and they processed my order quickly. There were abundant design choices in fonts and colors to give your labels and tags a personal touch. Dutch Label shop will be offering a discount code to my readers and I'll post it here when I receive it. Very cute labels. I like seeing your name on that one. What a very nice touch for gifts. 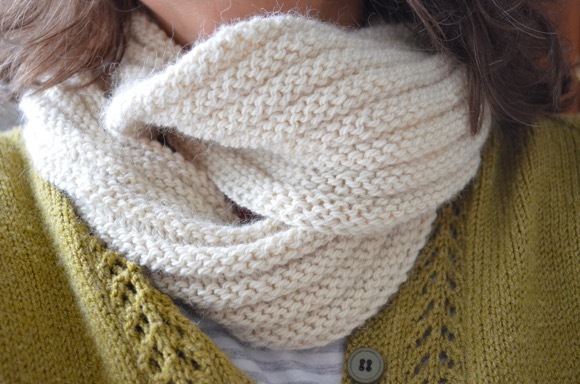 It makes your knits even more special. I ordered from them too, and was very pleased. I love the care label, I should get some of those! I love those. I'll be watching for the code. 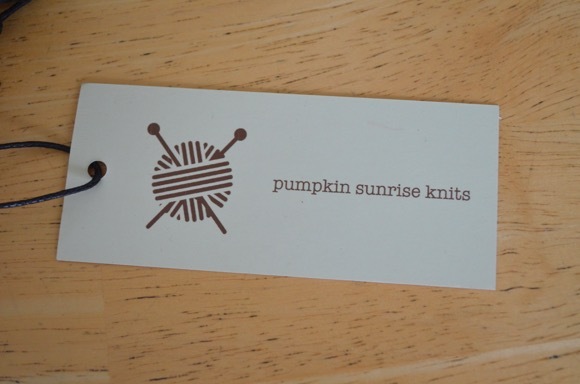 What a nice addition to a hand knit gift. 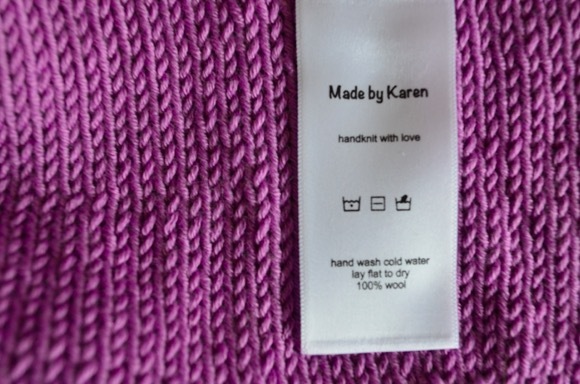 They make your knitting look extra special indeed, very nice labels you had made ! I have been thinking about ordering labels. Will be sure to check these out. These are lovely--and thanks for the discount code! (Just used it!) ~Jill M.